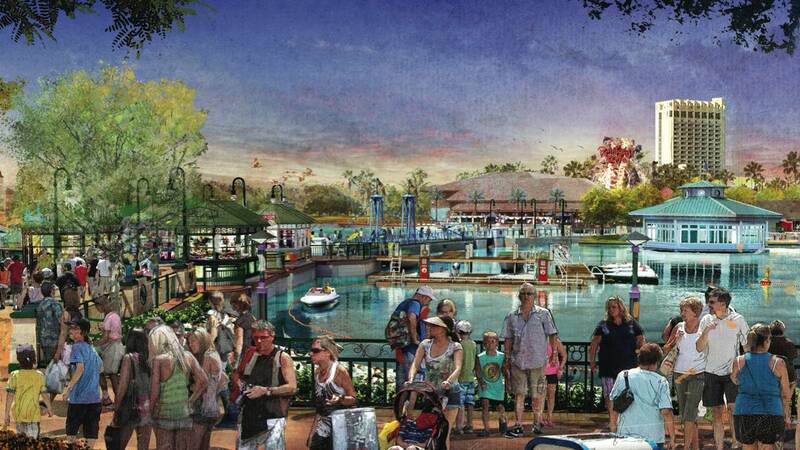 More concept art for a Disney Springs marketplace. ORLANDO, Fla. - Disney has planned a ceremony for Tuesday to reveal when Downtown Disney will make the transition to become Disney Springs. The announcement comes a day after the opening of the Indiana Jones-themed Hangar Bar. Slated for completion next year, Disney Springs will be double the size of Downtown Disney.